Hello, everyone! This is Princess Polish, B.A. writing to you today! YES, I finally did it. I graduated Rutgers University on Sunday with honors, earning my Bachelors in Political Science. Today, I'm going to discuss my Julep May Box. For now, I'm going to focus on the polish because I'm doing a trial with the pedicure products. I'm currently taking a one-week Julep pedi challenge and a two-week Tweezerman nail care challenge. So we shall see how this goes! 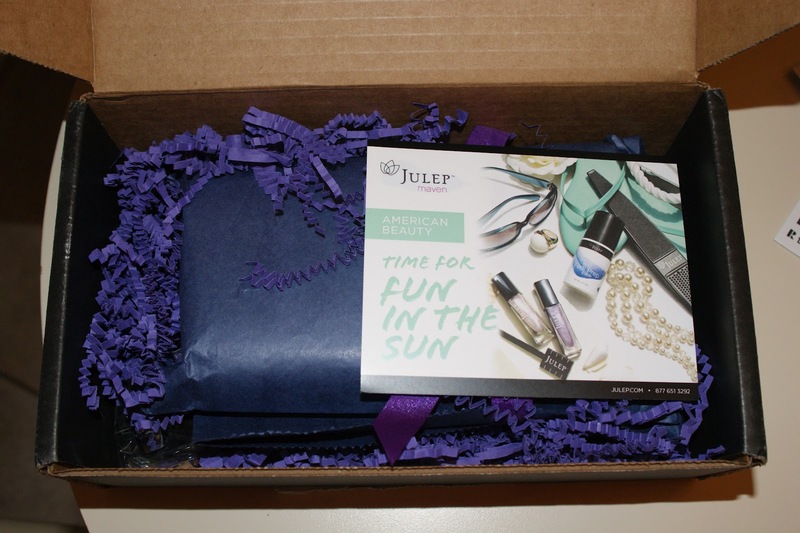 If you're not a Julep Maven, you can sign up today to receive your first box of $40 products for just A PENNY! Click here and use the code SHAREONMAY to pay just $.01 for your box! Per usual, I received my American Beauty box. I did not opt to change this month and was very excited about the magnetic polish included. Ellie is on the left, a delicate seashell pink, and Kylie, the magnetic grape polish, is on the left. I will be honest, I was not expecting to like Ellie. I'm not a fan of sheers, frosts, or super light colors. But Ellie built up well with three coats and had a very pretty appearance that reminded me of abalone. It's definitely a pastel pink, but has a lavender shimmer that really alters how it looks on the nail. I actually loved it! Here is the magnet that came with the box for Kylie, the magnetic nail polish. I was happy with this magnet wand initially, as I thought it would be easier to grip than other polishes with magnets built into the removable cap. And then, the brush happened. It was wonky the moment I pulled it out of the bottle. It was overly flared and the bristles were entirely uneven. It's a miracle I was able to apply the polish itself with the way it was. So here's how Kylie looks on my nails. She's okay. 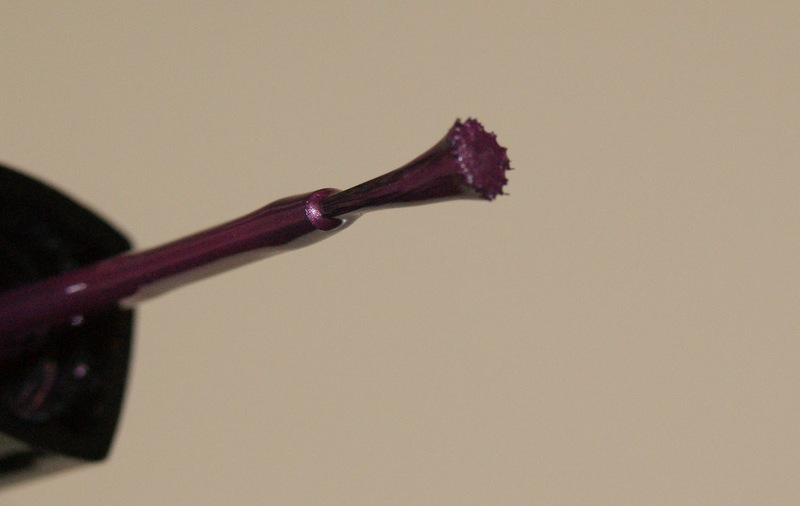 I prefer other shades of magnetic purples to this one by far. I don't think the magnet was strong enough at all and the brush probably didn't help matters. What I was most excited about in the box turned out to be the biggest disappointment. Overall, I preferred Ellie by far and it was a great shade from the start. The fact that Kylie was such a fail made it THAT much better by comparison. I was excited by the announcement that Julep was releasing a magnetic shade, but if you're going to hop on the bandwagon late, you better do it right. Unfortunately, they did not do it well at all. 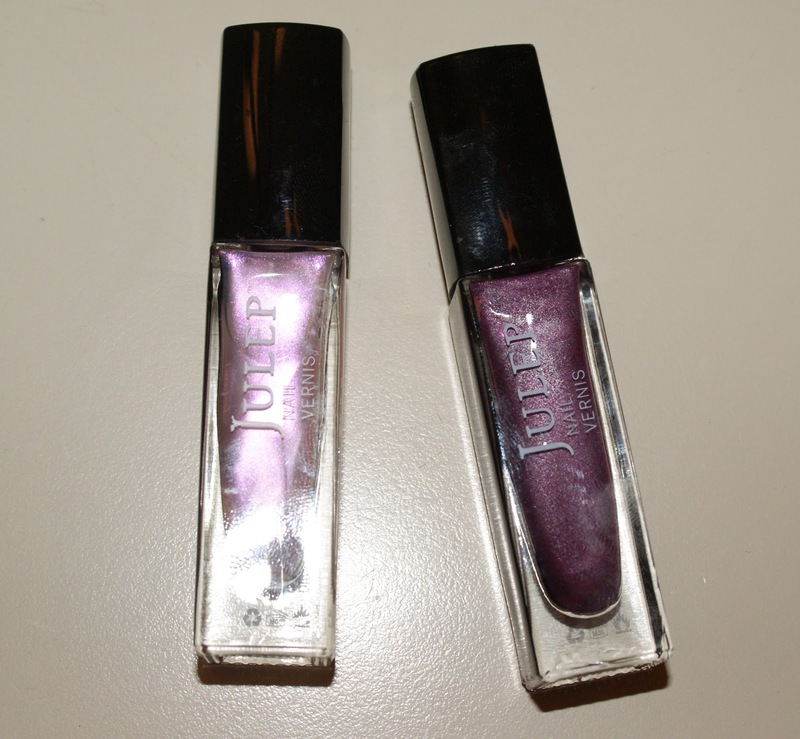 Come on Julep... break out the holos and the flakies! And do those right! What did you all think of your Julep Boxes? I've never had a Julep, but I just really dislike them. I want to like them so bad lol, but I just hate every color I see :-( I can't jump on the Julep wagon. Sorry your brush was all crazied up! Those kinds of discoveries ruin my day! I got the cinco de mayo box and an intro box and one of my brushes was bad out of 6 polishes I got. Apparently May was a bad month for brushes. I emailed customer service and they are sending a me a new one. The colors I got were nice, I think I'll stick to the surprise boxes here and there. I had an issue with my May box- it showed up completely empty. After 2 weeks, I finally got in touch with customer service and they were so nice. They sent me one really quick and then allowed me to even switch which box they sent. But that's mostly irrelevant. When I did get my replacement box, it had a card in it which said something to the effect of "Heard our brushes were having a bad hair day, here's a replacement" and had two replacement brushes in addition to the brushes in the polishes. If you contact customer service, I'm sure they'll be glad to send you new ones.